Prima Facie sought to create a removable hard drive and receiver bay to provide the portable data part of a digital video recorder used on bus transit systems to deter crime and vandalism. 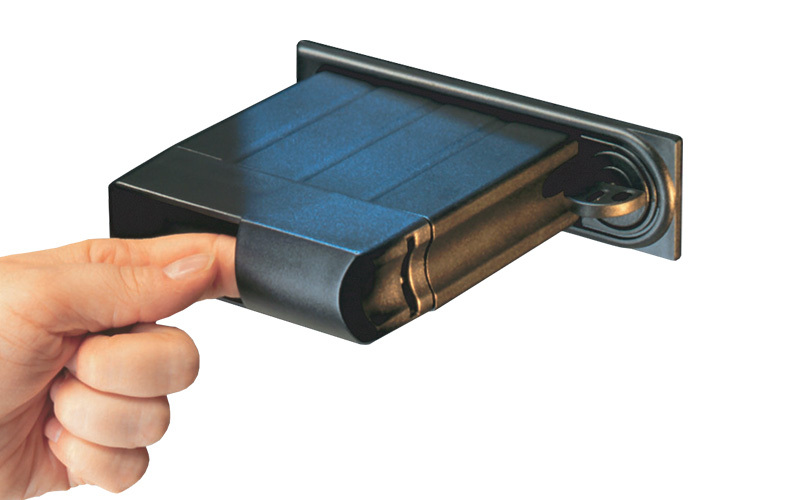 Stream's solution creates a curved handle that is comfortable, functional and does not resemble a conventional file drawer grip that temps vandals. A channel on one side prevents incorrect insertion. It is a strong and rugged assembly to withstand the harsh bus environment and visually fit into the office environment. The hard drive case is extruded aluminum with injection molded end caps. The simple form of the unit allows vertical or horizontal installation in the bus and office environment. It is the current market leader in its category.